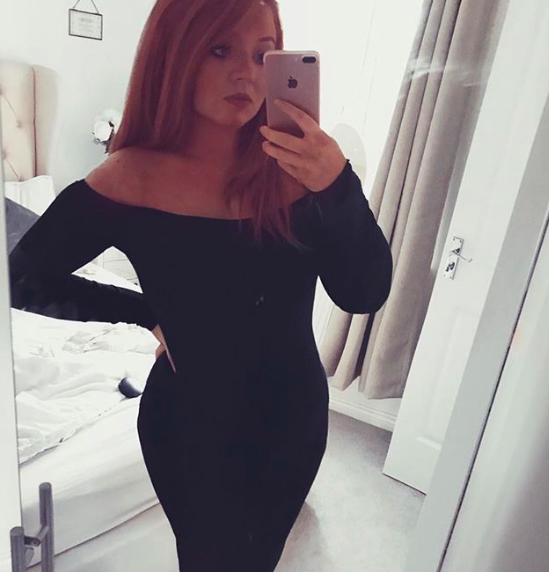 I have had such a busy week at work, with birthdays, events, and weekends away but now I am back to blogging (sorry for the break guys) and want to share with you my mini haul!!! Last week, I was bored! So as all girls do, I decided to take a stroll into Leeds town to have a browse! I told myself not to be too naughty and stick to a mini Primark dash. Thankfully, I stuck to that and well, found some perfect items too. From Primark I bought this cute chic summer body which I absolutely LOVE! I love it when girls wear these with long summer maxi skirts on holiday or high waisted denim shorts for the casual look. The long scoop back makes it look even better and love to show off my tan and curves in this piece. All I need now is a sailor hat and well a million pound Yacht. 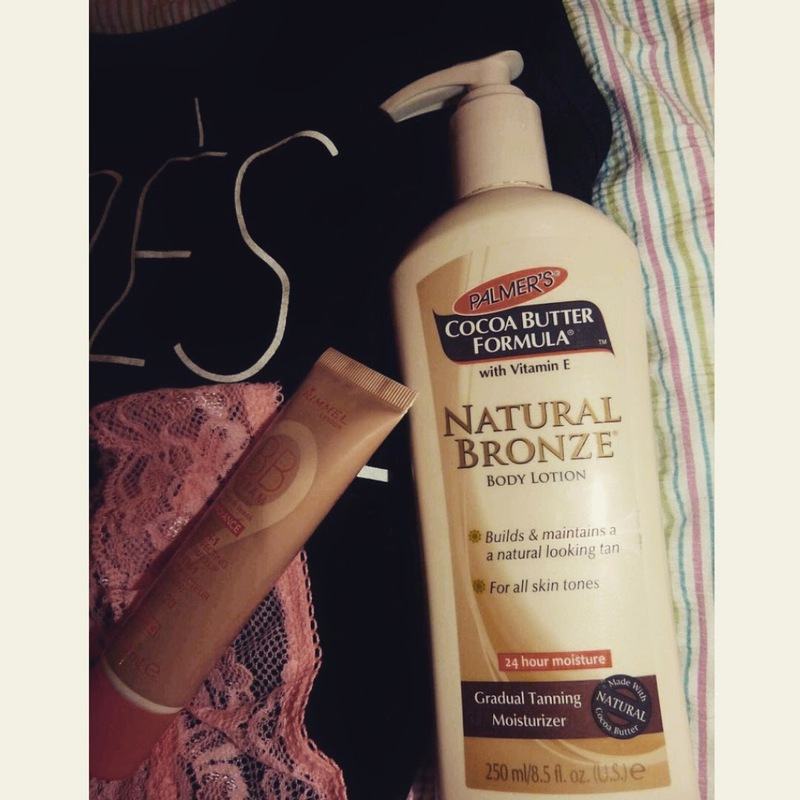 My second Primark BARGAIN was THE Palmers Cocoa Butter fake tan! Yes you heard me right... Primark sells Palmer! I have seen SOOOOO many good reviews about this tan and the plain cocoa butter too! Lots of bloggers rave about this so at a good price I really wanted to give it a go. Funnily enough, I have seen so many people buy this after me so knew it was a good choice. After trying this gradual tan for over a week now, there's no denying its one of my faves! I'ts one of those tans that I will restock throughout the year. It keeps the skin soo smooth, and I have had so many compliments since changing it from Dove. I found that Dove left my skin dry and flaky, making my tan appear patchy at times. However, this tan is very consistent, keeps the skin tanned and refreshed too. Oh and it smells amazing!! And lastly, I have a confession. The wind blew me into Superdrug where I appeared to be hanging over the Rimmel counter! Well I lie. I did purposefully go in there to check out their Wake Me Up base. 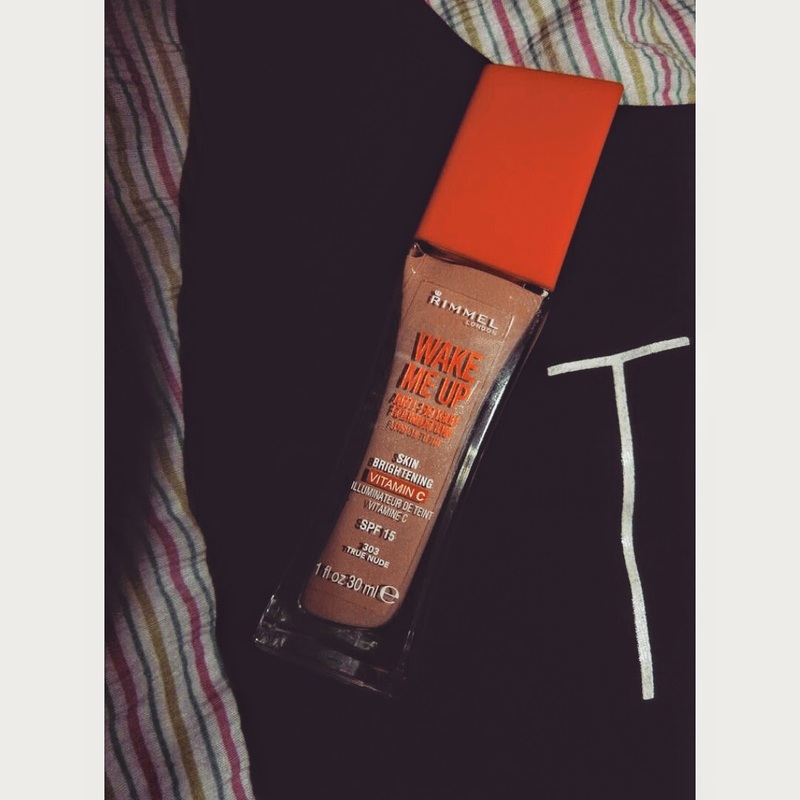 After reading bloggers foundation reviews a lot of people rave about this foundation so wanted to give it a try or at least test the tester. However, Em from emtalks.co.uk said she feels the Rimmel BB cream is better. She described it as lighter and refreshing which is just the look I go for. I love the natural glowing light base look rather than feeling cakey. So... I bought both and currently trailing them against each other. So far, I love both. I dont see a huge change except I do feel the BB cream covers a lot smoother with a light feeling. I will soon review both products and compare too. I hope you like my mini haul and if you have any questions leave a comment. have you tried the Palmers tan?? Keep updated on my bloglovin, Twitter, and Instagram. Instagram is my ultimate fave so dont forget to pop by!!! !